Tracey (Hegeman) Patten joined our staff in 2018, as Executive Business Manager and Paralegal. She is a veteran of Alternative Dispute Resolution having worked for the American Arbitration Association for 24 years in the Dallas Case Management Center. After attending the University of Texas at San Antonio, Tracey started with the AAA as a case manager when it was a regional office and grew with the expansion of the Case Management Center to Assistant Vice President. 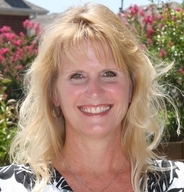 She has extensive knowledge in commercial, construction and employment disputes. She has administered a varied caseload focusing on Large Complex Cases at the AAA while also overseeing daily case management operations. Tracey has utilized innovative dispute resolution techniques in problem solving case situations, panel concerns, and resource development, and looks forward to assisting parties with the highest level of customer service for Judge Ashby. Instrumental in various committees on process review, rule revisions and program development such as the mediation program surrounding Hurricanes Katrina and Rita for the AAA, Tracey is excited to use her expertise with Judge Ashby. She has trained hundreds of neutrals throughout the nation on AAA Rules and Procedures and has completed and conducted mediator training. In addition, was intricately involved in staff training and development on AAA products, customer service and team building. Tracey left the ADR world and retired to become a franchise owner with her husband and after selling their franchises has returned to the world she knows and loves, as she only thought she was ready for retirement! She is looking forward to seeing the ADR processes through the eyes of the neutral and is thrilled about her next chapter working with Judge Ashby. Tracey is married to Steve. They enjoy going to live music events, theater, good ole’ 2 steppin’, cooking and spending time with family, friends and their dog babies Canyon and Carolina who believe all who come to the Patten home are exclusively there to see them! Tracey is available to assist you with your alternative dispute resolution matters.